It wasn't too long ago that Ottawa's Gabriela Dabrowski was doing her laundry on the road and booking her own flights and hotels. Now she's the 2017 French Open mixed doubles champion. 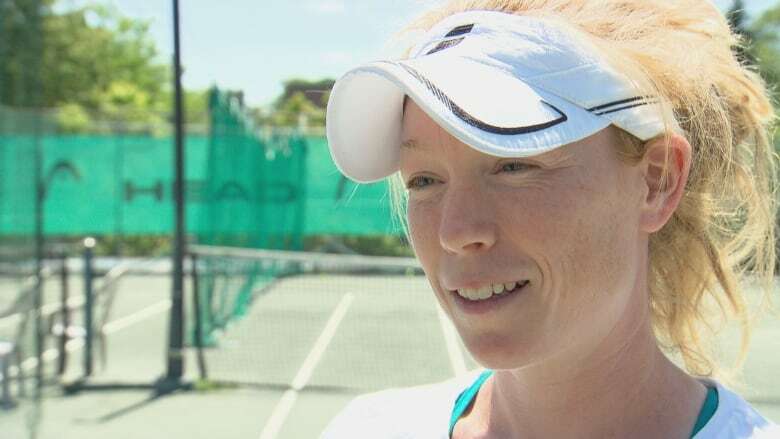 It was only a few years ago that Canada's first female Grand Slam tennis champion was doing her laundry on the road and booking her own flights and hotels. Now, Ottawa's Gabriela Dabrowski is leaving the 2017 French Open with a cheque for roughly $100,000 — and a place in tennis history. 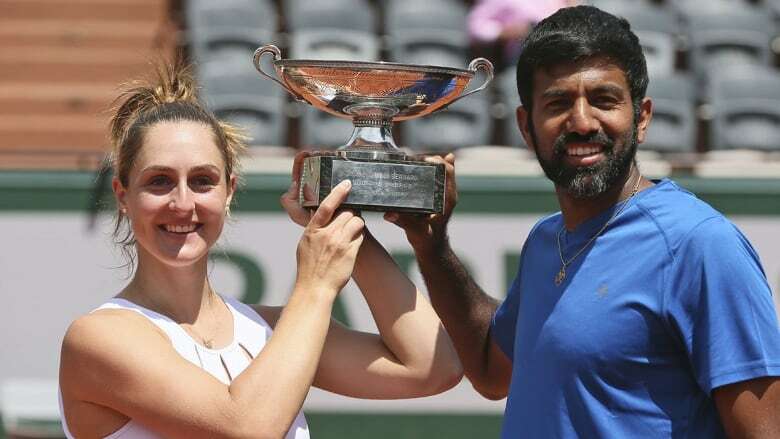 "I don't come from the wealthiest family," said Dabrowski, speaking to CBC Radio's All In a Day only hours after she and her partner, India's Rohan Bopanna, won the mixed doubles championship. "We've all dealt with our fair share of things." The seventh-seeded pair advanced all the way to Friday's final without dropping a set. They then defeated Anna-Lena Groenefeld of Germany and Robert Farah of Colombia in the final 2-6, 6-2, 12-10 — staving off two match points in the tiebreaker, and winning the championship when Groenefeld double faulted. "It's not the way that you want to match, but at that point ... it was a big relief," Dabrowski said afterwards. "We'd fought so hard to get to that point, that you'll take a win as it comes. So yeah, that was pretty crazy." Dabrowski grew up in Ottawa's Gloucester neighbourhood, and it was clear from an early age that she had the talent to make a go of a pro career. Her parents couldn't afford to both travel with her, however. So Dabrowski's father accompanied her to her earliest international tournaments, often taking to the road for more than six months of a year, while her mother — who earned more — stayed in Ottawa. "My mom made a lot of sacrifices for me to be able to travel with my dad," Dabrowski told All In A Day Thursday. "[She'd be] home alone a lot. She was the breadwinner at the time, so that's a lot of pressure on her." By the time she was 20, Dabrowski was traveling on her own — but couldn't afford a coach to handle some of the more mundane aspects of maintaining a professional tennis career. "That also takes a toll mentally, because you have to figure everything out on your own," Dabrowski said. "You have to do everything from managing hotels, flights, train bookings, laundry, eating — all of that stuff. And so you just don't have the freedom that a normal 20-year-old might have. Those are the things that can kind of weigh you down." Dabrowski started off playing singles, but said she now focuses mostly on doubles as that's what "pays the bills." The 25-year-old came into the French Open as the 20th-ranked women's doubles player in the world, and will be significantly higher when the new rankings come out next week. Ottawa tennis pro Rachel Cruickshank first watched Dabrowski play when she was only eight years old, and said even then, it was clear she had talent. Her French Open victory, Cruickshank said, should show younger players that they don't have to go off to expensive tennis academies to succeed. "They really just paved a new path. This gives a lot of hope to the kids here, that, you know, if they do it in a way they want to do it — without a lot of support — they can do anything," said Cruickshank. Tony Milo was Dabrowski's first coach, and said her talent was clear when she made the finals of an under-14 tournament when she was only 10 years old. "[She] never gave up, always wanted to play more, [you] couldn't get her off the court. She really ran the show back then," Milo said. The fact she's now a Grand Slam winner, he added, isn't the least bit surprising. "It was about time, to be honest. And I think it's not going to be the last one," Milo said. "Wimbledon starts in two weeks, and she's going there to win another one."